All roads lead to Wilder!!! Anthony Joshua stood on the cusp of the Principality Stadium pitch, draped in a glowing white gown and shining under a sole spotlight. It was hard to imagine how much higher the heavyweight could climb. As a packed national stadium rose to greet his latest stop on the road to the undisputed title, there was something almost messianic about AJ. But even Jesus lost his cool every once a while. We are yet to discover the heights AJ must scale before he even looks like wobbling. Opponents may sporadically get to him, but the occasion never has thus far. On Saturday night, neither the bright lights nor Joseph Parker could get to him – at least not enough to dent his perfect professional record. Parker may have taken Joshua 12 rounds for the first time in his record-breaking career. But can Deontay Wilder or anyone else halt his rise to the very top? AJ doesn’t think so: ‘I’ll knock him spark out,’ he vowed in the ring afterwards. Parker arrived at the Principality an unbeaten world champion, but still an unknown quantity on these shores. Nothing in his 24 previous victories has come close to replicating this heat of this Cardiff cauldron. The New Zealand fighter has come a long way since first lacing up the gloves with his father and brother in his South Auckland back garden. But he had looked nothing but at home throughout the build-up, inviting media attention and retaining his charm and calmness, smiling even as entered the lions den for the biggest night of his career. Around 20 minutes passed between his entrance and the first bell, but not even boos for the KIwi national anthem could wipe the smile rom his face. The fight was only a couple of minutes old when Parker smirked at his opponent, goading him forward. 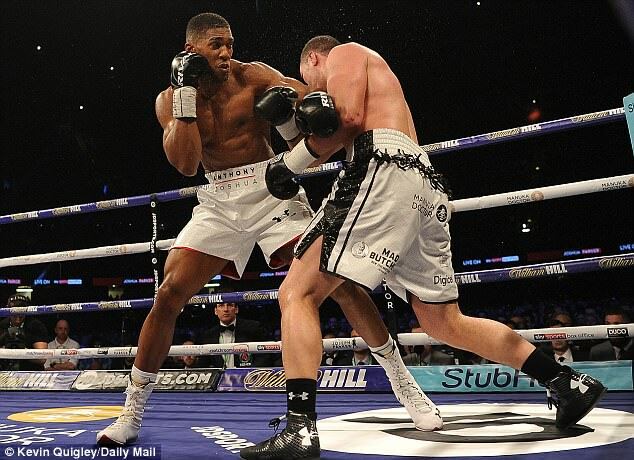 But he was less fleet of foot by the third as a stalking AJ began to seize control and pin his opponent to the ropes. Still Parker smiled as the fight entered the second half and began to slip from his grasp. Still he kept coming and still he took Joshua’s best shots. But it was the Briton who was doing enough to take most of the rounds. As the final bell sounded, there seemed only one winner and only one direction for AJ and his fans to look for their next challenge. But boxing is no friend of logic. In no other sport does what’s supposed to happen do so rarely. 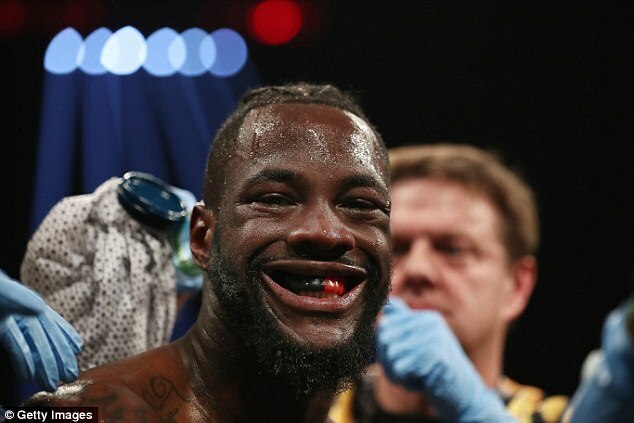 Instead, Wilder is one of a number of opponents being lined up for AJ. 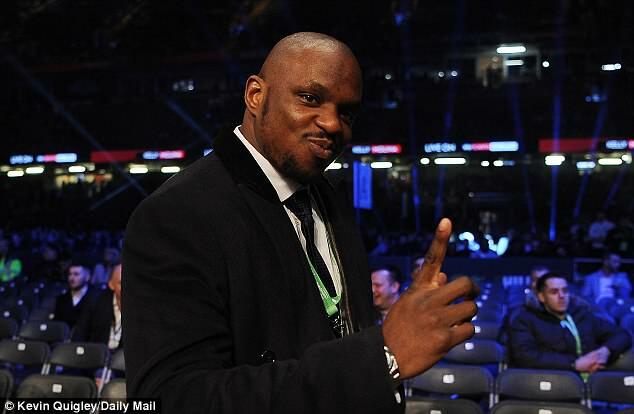 Dillian Whyte, who made his case for a rematch with a stunning sixth-round KO of Lucas Browne only last week, was here in Cardiff to watch his former rival. Their long-running beef makes the fight an easy sell. 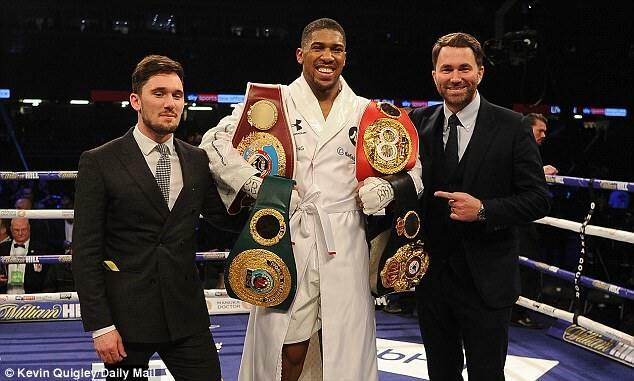 It’s a fight Eddie Hearn wants to make and a match-up AJ has been happy to tease. But for all the Brixton boxer’s legitimate claims to a place at world level, he carries neither the worldwide appeal nor big punch-power to fully whet the appetite. But who out there does? It’s true that America is a world Joshua still has to conquer. Despite his transcending appeal on these shores, the heavyweight is no mainstream star Stateside. That could change very quickly, if his meteoric rise to this point is anything to go by, and that’s why Hearn has touted a potential match-up with the unbeaten Jarrell Miller. 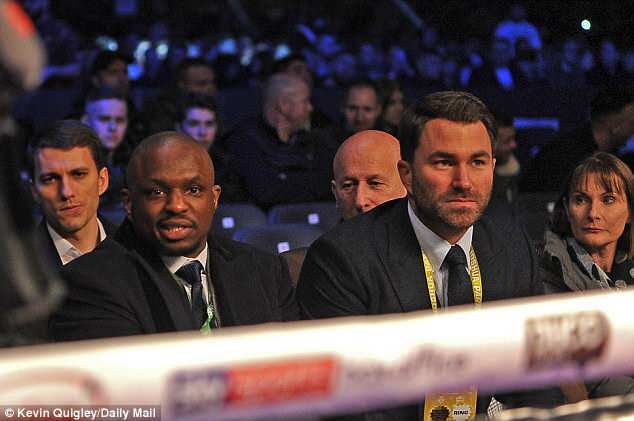 The American is part of Hearn’s burgeoning Matchroom USA venture, which would make terms far easier to agree than is normal for a fight of this magnitude. Like Whyte, Miller has arguably earned a world title shot. Like Whyte, he would provide a new test for the unified champion. But like Whyte, he lacks any wider appeal. So too does Alexander Povetkin, who will soon become mandatory to the WBA strap. The Russian sent a chilling message to AJ with a brutal fifth-round knockout of Britain’s David Price on the undercard. Despite being 38, he remains one of the most feared fighters in the division and, as a beast from the east with a history of doping, he is in some ways the perfect foil to AJ and squeaky-clean persona. 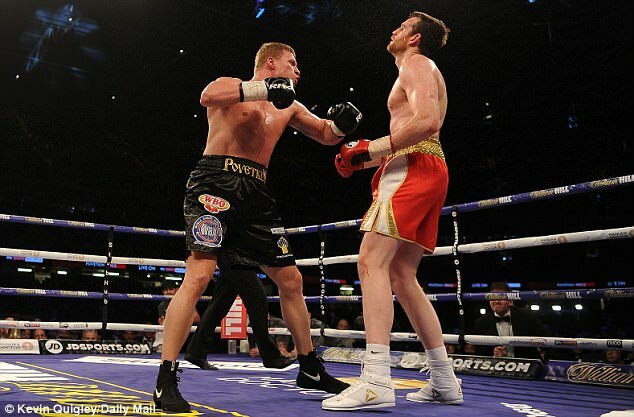 But the big-punching Povetkin’s poor command of the English language won’t help sell the fight. It’s a fight that will certainly happen, but no one this side of Moscow will be rushing to make. 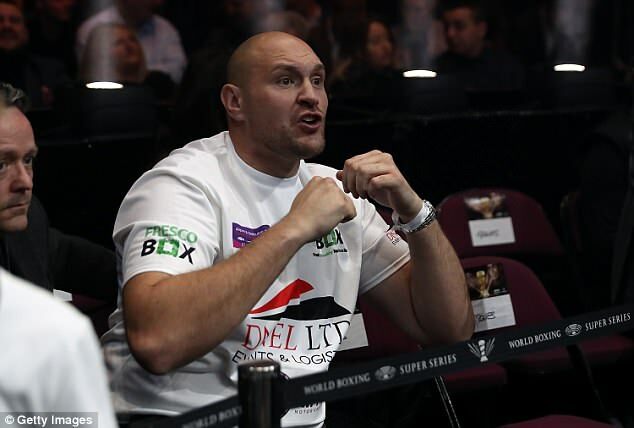 Of course, there is also Tyson Fury, who was name-checked by AJ after the fight. But he remains well off world level, despite his impending comeback. Ultimately, all roads lead to Wilder. In the lead-up to this out, AJ made all the right noises and produced the necessary soundbtes. My future ends on March 31, he claimed. I’m not looking beyond Joseph Parker, he insisted. But there was only one man on the mind of those inside this Cardiff cauldron. Despite deciding against coming to Cardiff for Saturday’s showdown, the Alabama banger did play a small role in proceedings. In between undercard bouts, the producers of boxing film Creed 2 used the 80,000 fans at the Principality to simulate crowd noises for the upcoming motion picture. Unsurprisingly, the loudest boos were reserved for the only heavyweight world champion not in the building. For now, there is little more AJ himself can do. 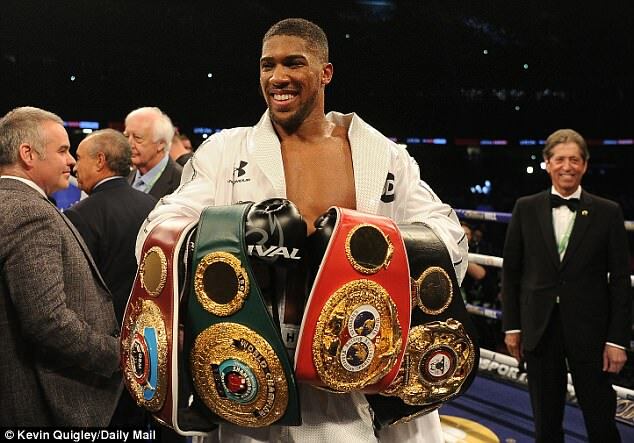 He continues to win, he continues to lead this booming resurgence in British boxing. For once, he may be powerless to get what he wants.